Get your fire burning gentlemen, this is going to be wild! This one is great for backyard parties, and you can scale it up to as many shovels as you can fit over your pit. You only want to use real wood (like you would if you were cooking Caveman style), to make sure there are no chemicals in the wood that might harm you, or worse: ruin your steak. It is also a good idea to place the shovel(s) on the fire while it is heating up, to make sure any residues are burnt off the metal. When you have a nice hot coal bed, brush the ashes off the shovel and season it 2-3 times with olive oil. 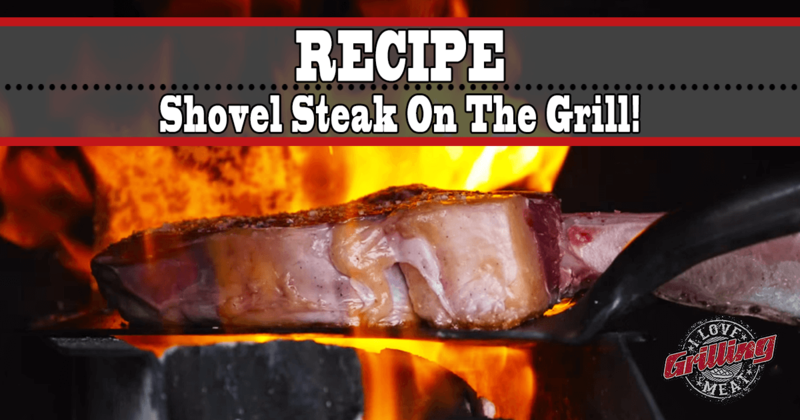 Salt your steak, throw it on the shovel, and place the shovel directly onto the fire. Sit back and enjoy the view of your shovel steak cooking! Flip the steak when necessary and cook to your desire doneness (130ºF Rare/ 140ºF Medium/ 150ºF Well Done).